The first year in a new job can be fun and exciting, but it can also consist of some learning curves, stress, and time of adjustment. This is definitely true for new professional truck drivers. Wouldn’t it be great to hear from someone who has been in the driving industry for a long time and knows the ropes? 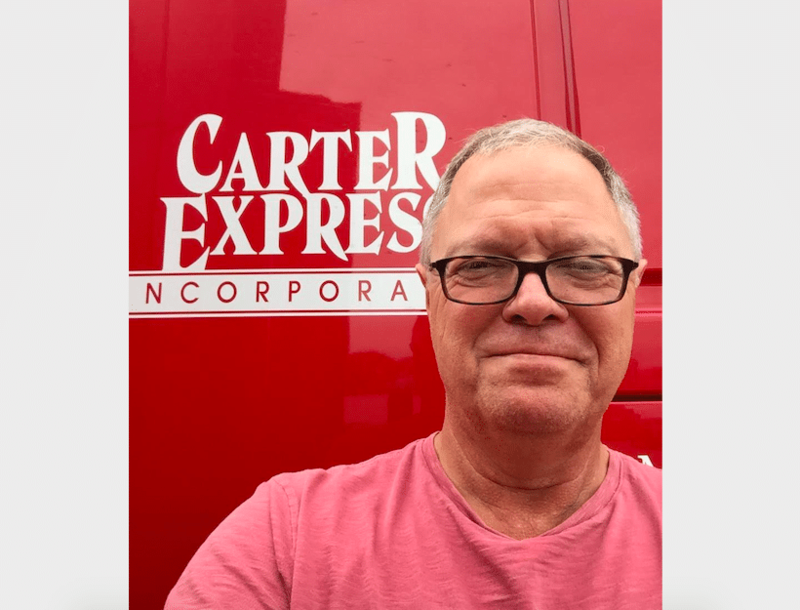 That’s why we interviewed Charlie Hopkins, a pro truck driver with 25 years of experience at Carter Express, who cares very much for the well-being of his fellow truck drivers. Charlie shares his experience and advice for those just starting their truck driving career. What was your first year as a truck driver like? I remember my first year as a truck driver being hectic and nerve-wracking, but it was also exciting entering a new profession at 34 years old. My wife Jennifer and I had a newborn baby at the time so it was also a lot of extra work for her. Truck driving can be difficult on a family, especially during the first year or so. There’s a period of adjustment needed for everyone. What is your favorite memory of working at Carter? I have a lot of great memories over the last 25 years at Carter Express. One of my favorite memories was a dispatcher we had at the time handing me the set of keys to my first new truck at Carter. It was a 1995 White/GMC Integral Sleeper. I won’t forget that moment. It was quite a surprise! 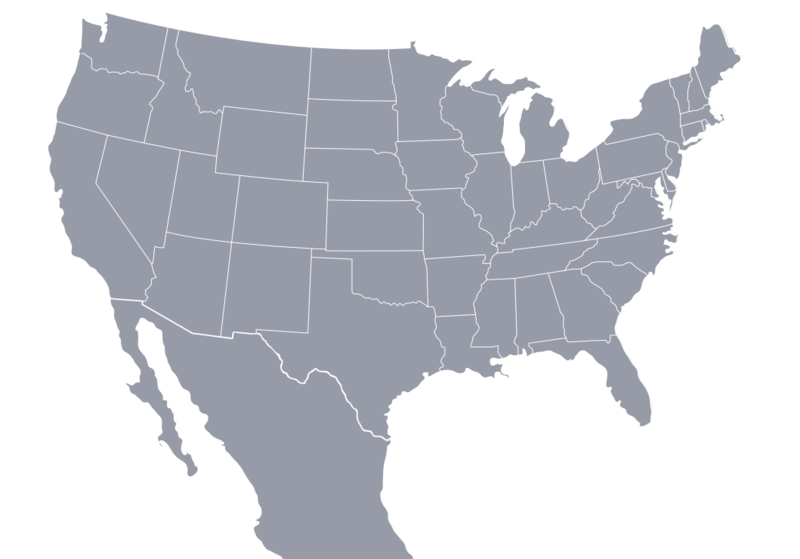 What would you say the toughest part of the truck driving job is? I love driving! Driving anything! I think it’s important for a person to identify something they enjoy in life then try to find a way to get paid doing it. I’m extremely blessed to have found that thing. I guess my answer would be the toll trucking takes on your body over time. It’s important to take care of your health, especially in the trucking industry. Taking care of yourself will make your job easier. What is the best part of working as a Carter driver? The support – From the HR department to the driver relations department to the open-door policy Carter has always had for their drivers. I’ve always said Carter makes it easy to be a truck driver. The equipment has always been outstanding and I like hauling mostly automotive freight. Carter is the kind of company a person can actually become a part of, and I believe that’s a rare thing these days. What advice do you have for the new drivers starting out their career at Carter? 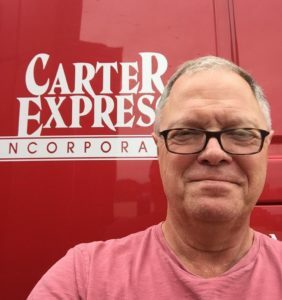 For people new to driving and starting a career at Carter Express, I would say this: It gets easier! The first couple of years can be tough. I remember stressing about having difficulty backing into certain docks. That gets easier! It’s also important to stay accident and traffic violation free. Be safe and dependable and be prepared to make yourself available to dispatch. You’re going to be busy! Keep an eye out for the new dedicated runs on the board and put your name on all of them! Even if you don’t think you have much of a chance of getting awarded the run. The most important piece of advice I think I can give to new drivers beginning a career Carter Express is this: If you have a problem, speak up! I’ve never had a problem at this company that couldn’t be fixed. I am currently a driver committee member, and along with the driver relations department, we are available 24 hours a day for any issues or problems a driver might have.